Cor Blimey! That’s a biggin! If your prone to seasickness this isn’t the slot game for you, however, if you’re looking to hook the prize catch then you’ve found your 5 reel. 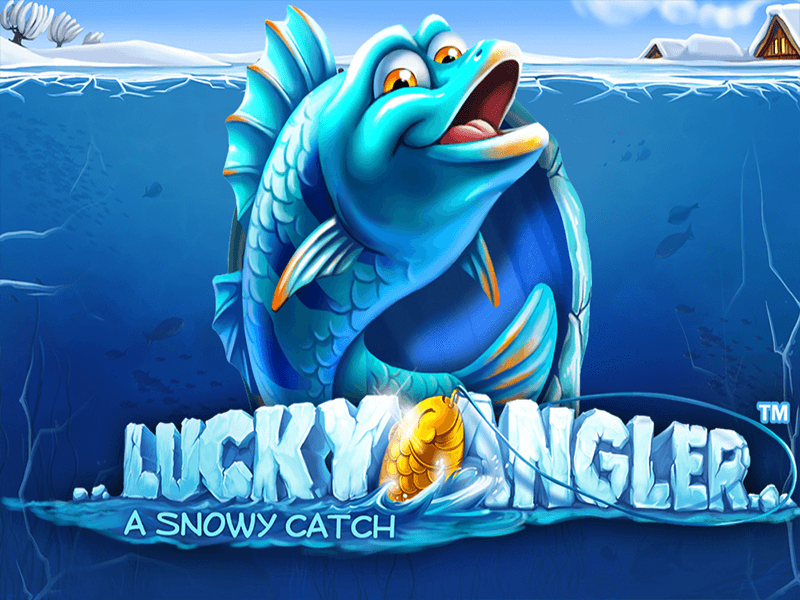 Featuring contemporary video graphics, this ice-fishing themed slot will send shivers down your spine. Catch some more and come play onlines slots! Founded in 1996, Net Entertainment has taken the online gaming world by storm, becoming one of the world’s most successful online casino operators. With unique, premium experiences, NetEnt have many award-winning games, all with their own look and feel, that we love having here on the wizardslots site. Having won Slot Provider of the Year, Innovation in Mobile and Mobile Supplier of the Year at ERG 2015, it is safe to assume that this developer is doing their job well in the online slot market. Their passion for slot gaming is reflected in their huge number of awards over a twenty year period. In my experience, Net Ent typically produce wonderful online slot games. One of my favourite slot games of all time, Koi Princess, held my attention for as long as it needed for me to win big. Therefore, I hold Net Entertainment in high regard within the industry. If you have ever wondered what it is like underneath an angler’s ice sheet, this is the game for you. From the art style to the music and sound effects, I did not need to play Lucky Angler long to see why this was recommended. The reels are mixed in with the background of the game, which seems to be quite unusual. You have the fisherman’s huts above the ice, and the tasty prizes down below with a mix of cartoon catches, and classical casino characters. 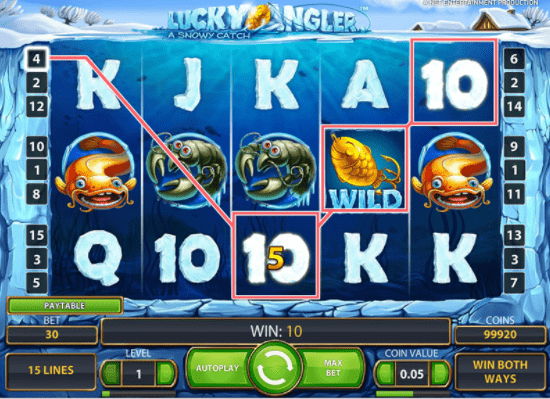 Among the top online slot games, Lucky Angler provides an excellently atmospheric game that is relaxing to play for an afternoon. Net ENT does not necessarily hit all the right spots with Lucky Angler as compared to Koi Princess, but that does not change that this online slot game is a great catch for traditionalist players. With a five by three reel, and a conservative fifteen pay line structure, the game does an excellent job of balancing bet sizes with rewards. Although there are only fifteen pay lines, the special Golden Hook Wild symbols ‘freeze’ in place after they land, meaning they persist for another extra spin. In doing so, it means you are more likely to win, as the Wild symbol counts as a substitute for all other normal symbols. On this note, the game seems to encourage small wins often, with the occasional big win when you least expect it. Because of this, it is easy to continue to play; the caricatured creatures end up teasing you… the next win will come on the next spin – I’m sure of it! The special symbols themselves are surprisingly robust for Lucky Angler. These simple specials give you bonuses without any extra effort on your part – just set the auto spin going, and sit back and relax! As mentioned before, you have the Sticky Wild. On top of this, you also have the Free Spin Scatter. This school of fish means you get ten, fifteen and twenty free spins when landing three, four or five scatter symbols on the board respectively. This simple, traditionalist online slot game is no Koi Princess from Net Entertainment, but that does not mean it is not a good game to play on a relaxing afternoon.